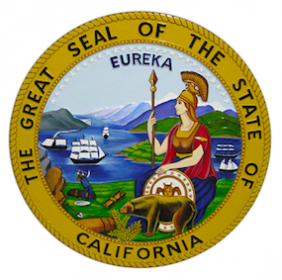 The latest in a long series of proposed bills concerning online poker in California appears destined to follow a similar fate and land in the muck, so to speak, at least for the remainder of 2013. So says “an unnamed source close to the California political process” speaking to CardPlayer late last week, who indicates there is little likelihood for any forward movement on currently proposed bills to regulate and license online poker in the state before the current legislative session ends in September. “According to the person close to the bills,” writes Brian Pempus, “the same old disagreements” between the many competing interests in California, in particular the Native American tribes who control Class III gaming in the state, are the primary cause for the lack of legislative movement. “Tribal gaming groups just can’t come to any consensus on who should be allowed to be licensed to participate in a California market,” summarizes Pempus. Back in February of this year, state senator Lou Correa first introduced his online poker bill (S.B. 678), titled the Internet Poker Consumer Protection Act of 2013. The bill arrived with the sponsorship of a group of tribes with interest in both brick-and-mortar casinos in California and helping shape possible online gambling in the state. Then in May a new draft of that bill surfaced, again brought forth as having resulted from collaboration with eight different Native American tribes. As before, the newly-drafted poker-only bill would have limited potential licensees to those already having held licenses to operate brick-and-mortar casinos in California for at least the previous five years, with so-called “bad actors” — i.e., sites accepting wagers from California residents at any time previously (before or after the UIGEA) — being summarily excluded from applying for a license. Thus unlike current Nevada law which includes a clause forcing “bad actors” to wait 10 years before being eligible to apply for a license, or the New Jersey law which includes no restrictions regarding “bad actors,” the California bill would have permanently shut out sites like PokerStars, Full Tilt Poker, or any other site that any any time accepted online wagers from Californians. The bill also would have essentially isolated California from participating any interstate compacts and/or possible future federal legislation regarding online poker, containing no provisions regarding the possible intrastate pooling of players and requiring California to opt out of any federal online gambling legislation. Thus like neighboring Nevada’s current in-state-only version of online poker being offered by Ultimate Poker (and soon by South Point Poker via its RealGaming.com site), if passed the bill would have California offering only intrastate online poker going forward, though without the possibility of later interstate pooling of players as may eventually happen for the Nevada-based sites. The tribal backing of Correa’s bill had inspired hope for consensus moving forward in the wake of the abrupt dissolution of the California Online Poker Association in October 2012, a consortium of 31 different tribal casinos and poker rooms originally created to help legalize online poker in the state. But such appears not to be the case. An earlier online poker bill (S.B. 51) reintroduced by state senator Roderick Wright, a version of a similar bill brought forward during the previous legislative session, is also not considered likely to be entertained during the coming weeks as the current legislative session comes to a close. The chances are dim as well that either bill will receive attention during any special sessions by year’s end. While “anything is possible” (the only direct quote offered to CardPlayer by the unnamed source), the probable outcome for currently proposed legislation follows what has now become a lengthy history of bills being proposed in California and eventually abandoned dating back more than half a decade. Indeed, California online poker bills began to be proposed in the wake of the Internet Gambling Enforcement Act of 2006, inspired by the UIGEA’s provision to allow states to offer intrastate online gambling under certain conditions. It’s clear, however, that California will likely continue to remain well behind already-up-and-running Nevada when it comes to offering online poker, never mind helping to establish momentum nationwide with interstate compacts. To date both New Jersey and Delaware have also passed online poker-related legislation, with New Jersey moving forward with the accepting of applications for licenses to operate online poker sites within its borders.